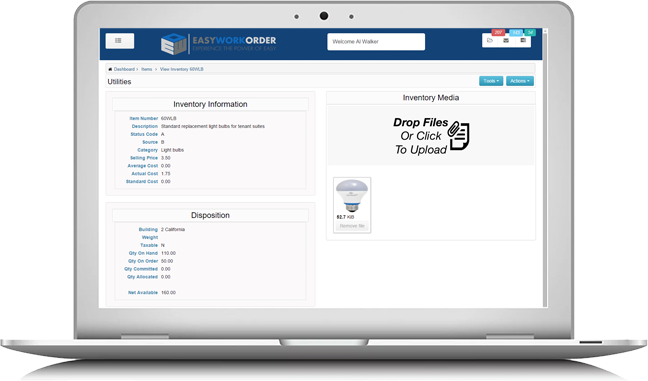 When you need inventory management, we make it easy to implement. 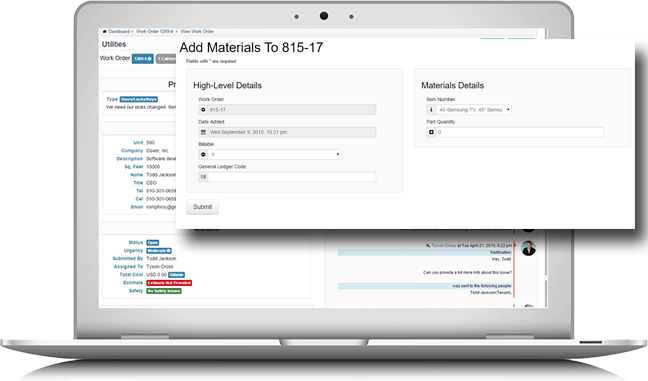 Whether your organization simply consumes inventory, or it manufactures it, we’ve got you covered. 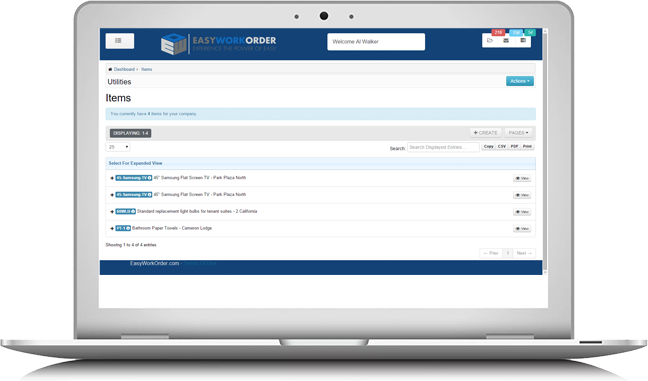 We’ve connected our inventory module with our work order module so that, when you consume materials for work orders, you can select an item from the on-hand inventory store and allocate it directly to a work order.